Originally built in 1919 the theatre was named the Globe Theatre. 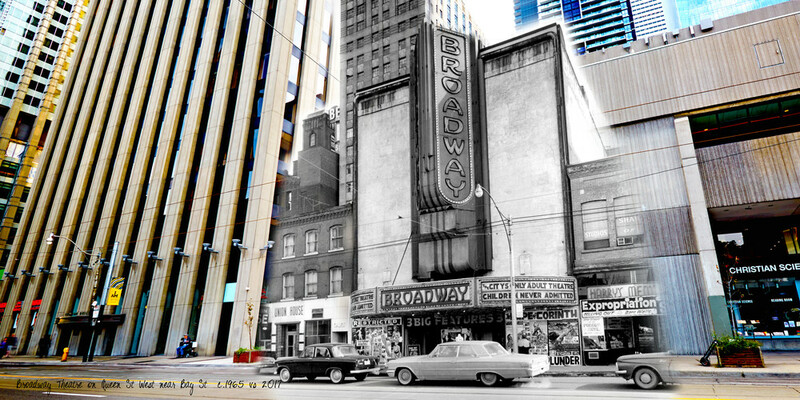 Over the years name changes occurred, in 1933 to the Roxy and later to the Broadway in 1937. With plans for the New City Hall came change. City officials felt the south side of Queen St West didn’t present a proper image. The businesses were expropriated and demolished in 1965.